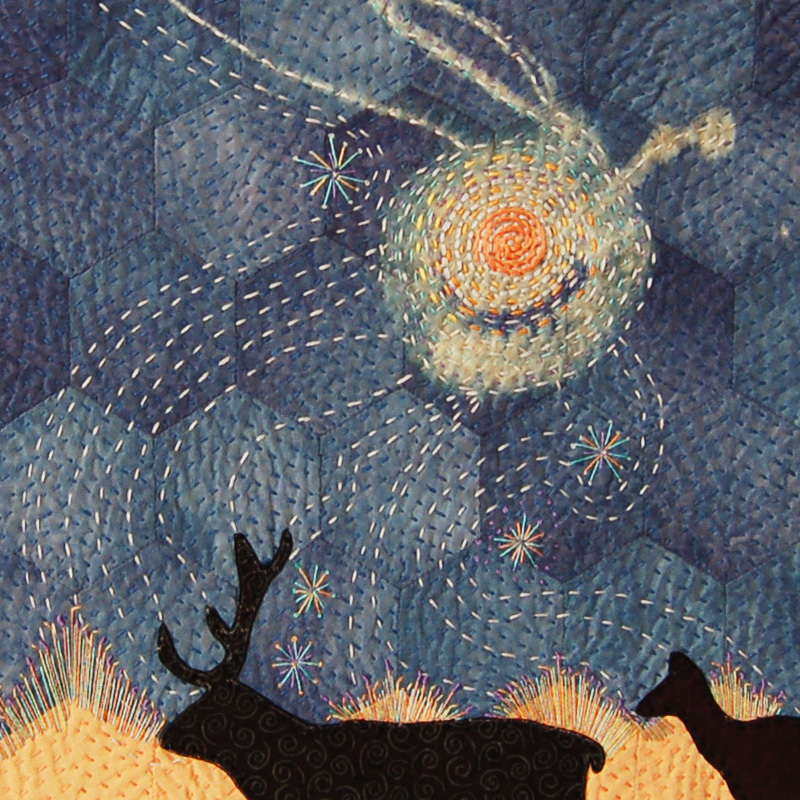 Award-winning textile artist Julie Bull creates hand stitched illustrations with recycled cotton fabric. She is available for commissions and teaches. 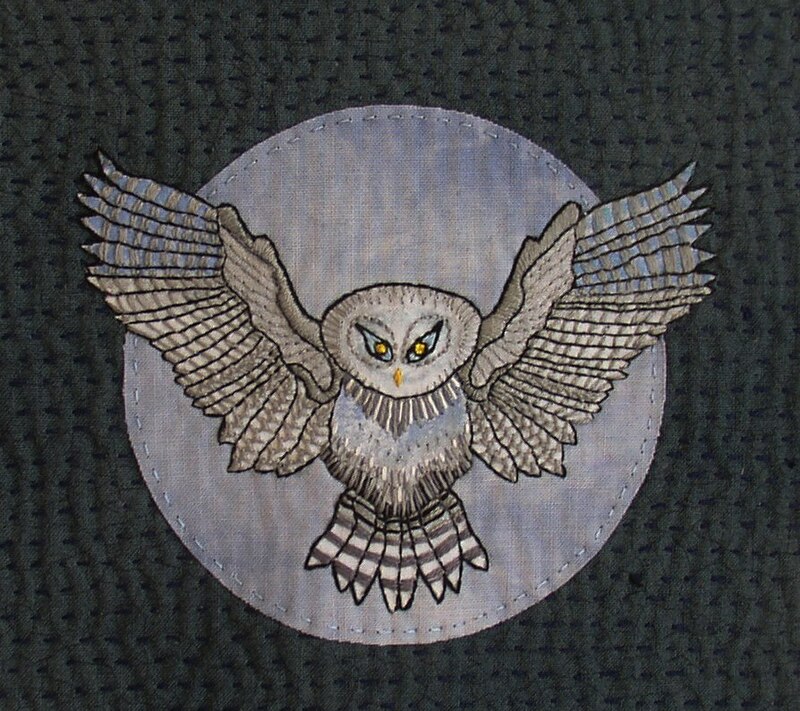 As an embroidery designer Julie has had projects published in several needlecraft magazines and also sells patterns online. Julie said: “I see each piece I create as a precious little gem with its jewel like colours achieved by hand dying cotton fabrics and thread. Measuring just 8 inches square or less each illustration is a labour of love interjected with emotion. “Kanthas originate in West Bengal. Indian where mothers stitch together layers of old saris with running stitch to create quilts then embroider them with story images. The Hindu religion includes a belief that old rags protect loved ones from evil spirits and hundreds of these rags can be seen hanging outside temples and shrines. 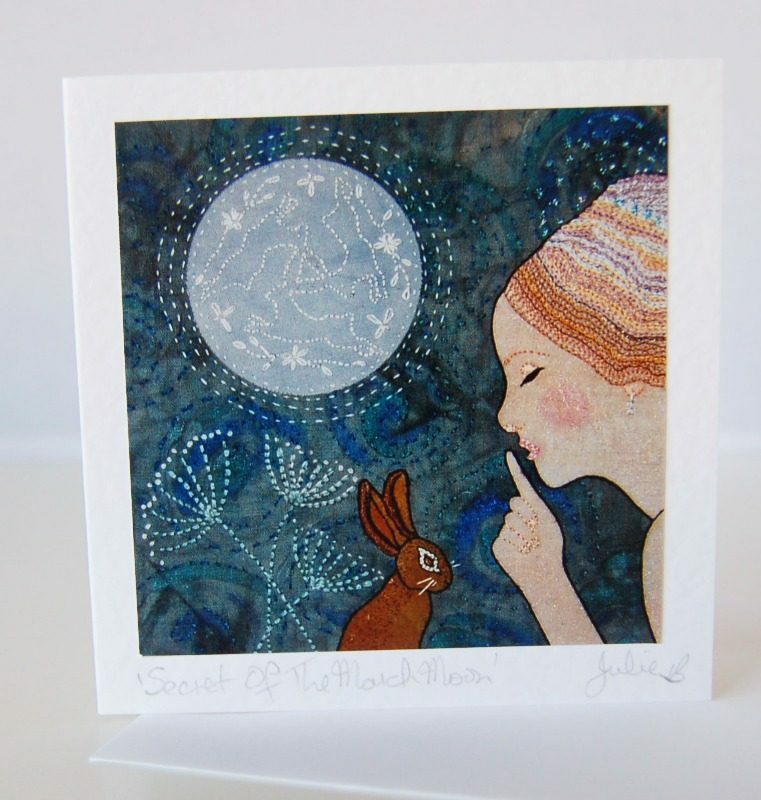 You can see more of her work, including designs produced as giclee prints and cards, here. 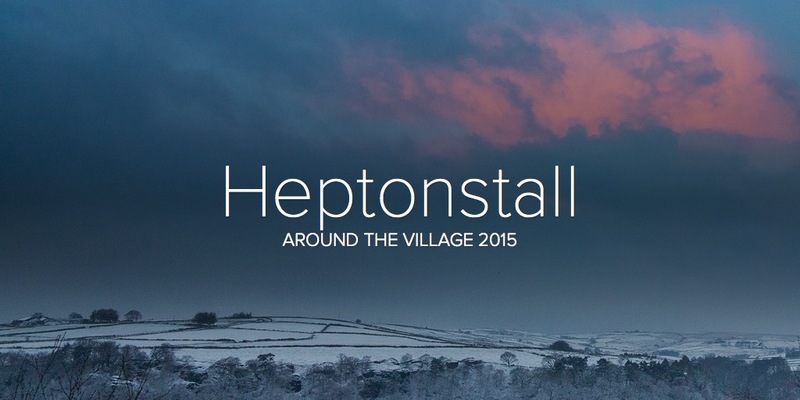 Heptonstall artists are taking part in the Hebden Bridge Open Studios event between 5 and 7 July. 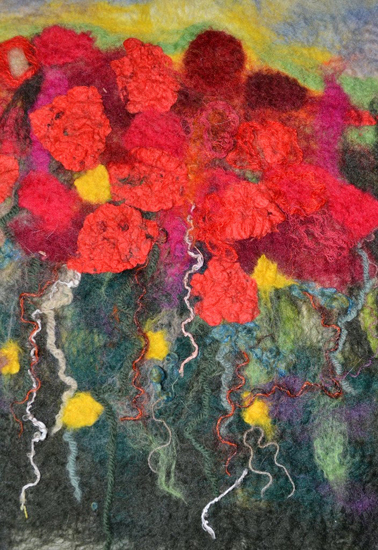 Nicola Wheeler, of Weavers’ Square, Mike Pemsel, of Northgate, and Alison Grant, of Northfield, are opening their Heptonstall studios, while Debs Paine will be exhibiting work in Northlight, Hebden Bridge. 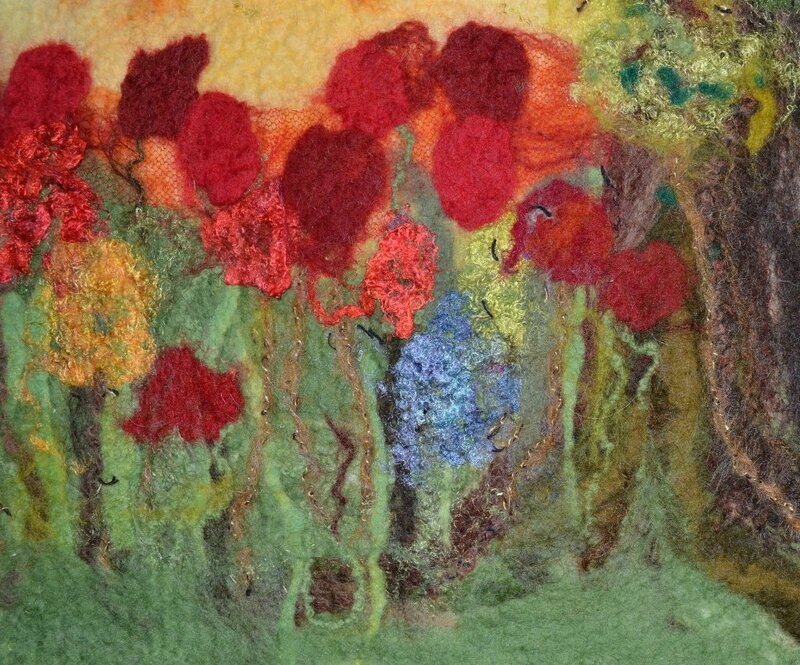 Mike Pemsel works in linocuts and mixed media, Nicola Wheeler is a costumier, textile and watercolour artist, and Debs Paine explores the natural world using ceramic and oil paint. 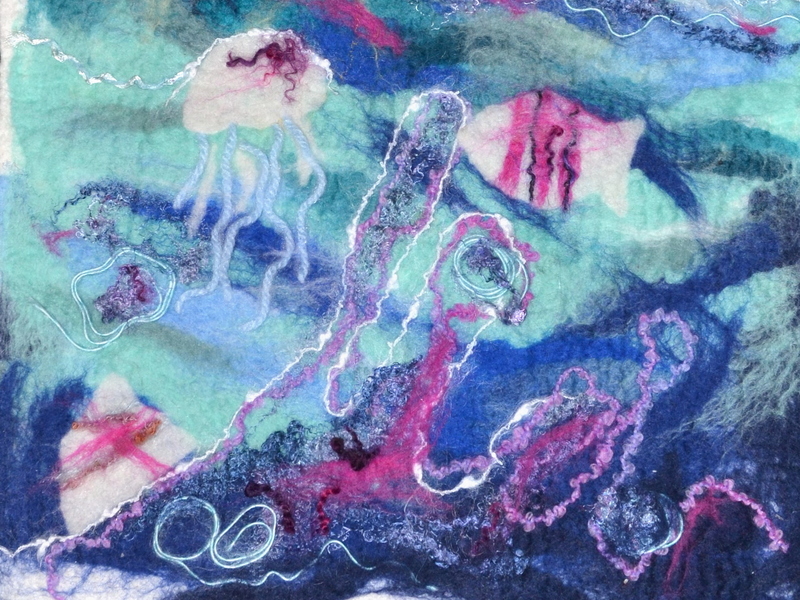 Alison Grant’s studio will host a joint family exhibition including life drawings, felt and textile works from Alison; oils, mixed media and line drawings from Bill Grant, and craftwork from Isla, open on Saturday and Sunday with refreshments available. Nicola Wheeler specialises in creating vintage inspired outfits for all occasions, including weddings, handfastings and civil ceremonies. She was wardrobe mistress for Glyndebourne Opera, and has produced historically accurate costumes for many film companies and museums including the dresses worn by actresses at Shibden Hall, Halifax. Heptonstall, which features in the annual Open Studios event.